Corporate Video Services in Albuquerque AND BEYOND! 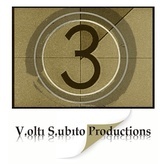 Volti Subito Productions can plan, develop and produce innovative and absorbing corporate video content, television advertising, web video, interviews, promotional and events, enabling brands, businesses and organizations of all sizes to connect and engage with their audiences. Whether communicating with staff, reaching out to potential clients or promoting your business online, our complete customizable solutions are designed to deliver your message, entertain audiences and drive responses. Our Corporate Video Services include everything from production and events to marketing. We produce original, entertaining and creative content, including viral videos, television commercials, web series, online promos and video ads, enabling brands, advertisers and businesses in all industries to communicate and engage with their target audiences. As content marketing continues to redefine the relationship between brands and their customers, our branded video packages offer a complete proposition delivering greater brand awareness and recognition, increased audience conversation and maximum returns. Our video production service includes audience analysis, script-writing, story boarding, filming, editing and animation, and we are ready to help help with any social media or online distribution. How can video content be used? CTR can increase 95% when a business uses web video. Online product videos can improve sales by 25% or more. Online marketing videos can be viewed by smartphones, laptops and televisions. "Thanks for doing such a great job on this piece. I couldn’t be more pleased with how it turned out."